D.V. Enterprises Since 1979 D.V. Enterprises is one of the big Industrial House of Madhya Pradesh well know name in Abrasive Product (Coated & Bonded), Cutting Tools & Power Tools. 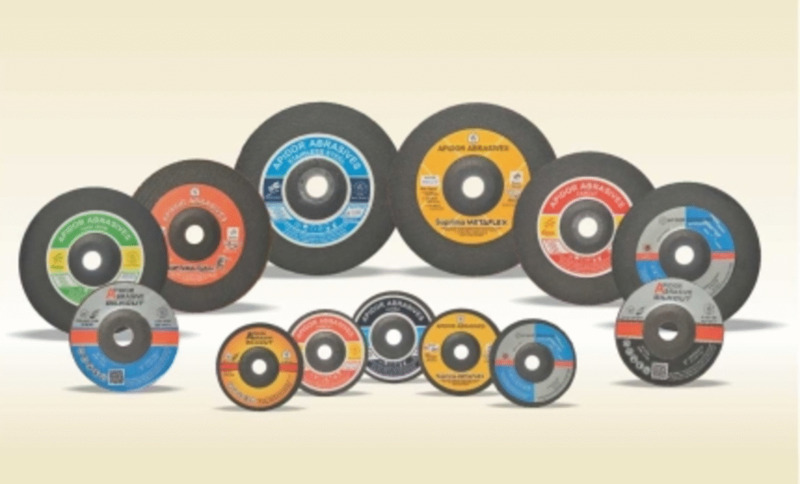 We are authorized Dealer / Distributor of various companies like Carborundum Universal Ltd. (CUMI) Chennai, Sterling Abrasives Ltd. Ahmedabad, Makita Power Tools (Japanese Brand), Apidor Abrasive Products P. Ltd., Nasik, BIPICO Industries Ltd. Bilimora,. Under one roof we offer Various Industrial Store Room Material. Makita power tools dealer in indore | Coated abrasive dealer in indore| Bonded abrasive dealer in indore| Non woven abrasive dealer in indore | Cutting tools dealer in indore | Grinding wheels dealer in indore | Dc Wheel dealer in indore | Cutting wheel dealer in indore | mops dealer in indore | Flap wheel dealer in indore| Flap disc dealer in indore | Water proof paper dealer in indore | Emery Cloth dealer in indore | Emery belt dealer in indore | Sander Disc dealer in indore | Velcro disc dealer in indore | Adhesive Disc dealer in indore | MCB roll dealer in indore | Bimetal blade dealer in indore | white tool bit dealer in indore | Non woven disc dealer in indore | non woven wheel dealer in indore | heat gun dealer in indore | Grinder dealer in indore | Chop saw dealer in indore | Tile cutter dealer in indore | Breaker dealer in indore | Cord less tool dealer in indore | Drill machine dealer in indore | magnetic drill machine dealer in indore | mounted point dealer in indore | finishing stick dealer in indore | Bore grinding wheel dealer in indore | SDS + bit dealer in indore | hole saw cutter dealer in indore | Backup pad dealer in indore | Ph2 bit dealer in indore| power tools spars dealer in indore| Cup wheel dealer in indore| Centre less grinding wheel dealer in indore| Surface grinding wheel dealer in indore| Tool room grinding wheel dealer in indore| Jigsaw machine dealer in indore| Compound saw dealer dealer in indore| Impact wrench dealer in indore | Screw driver dealer in indore| Hammer drill dealer in indore| Die grinder dealer in indore | Swing frame wheel dealer in indore.